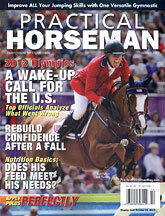 Get a Free Subscription to Practical Horseman. To get your one-year subscription to Practical Horseman, plus find out what free business publications you could receive, simply complete the form and allow for a couple of weeks for them to send you your free magazine. When you visit the website you may get a message that says that the session is expired, simply click ok and then complete the free form.